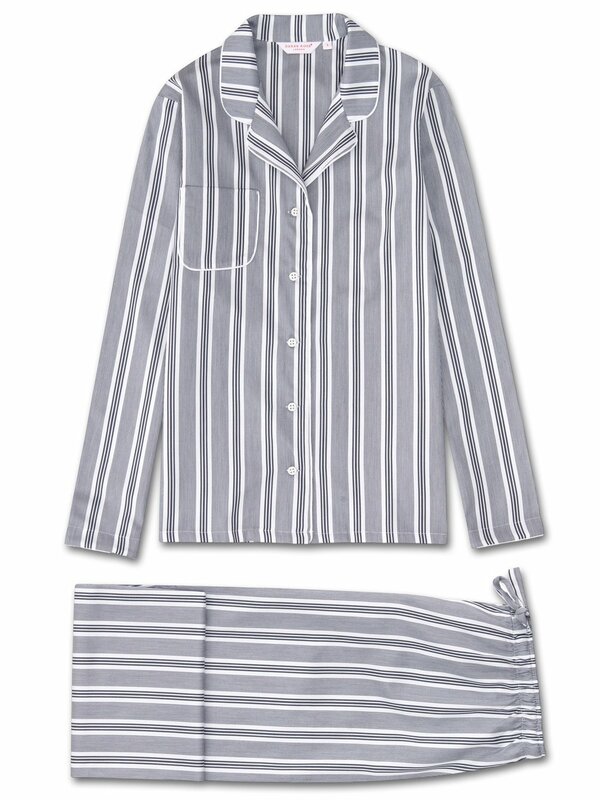 Made from 100% cotton, the Milly 6 pyjama set features navy and white stripes of varying thickness, woven into a smooth and soft fabric for a luxurious sleepwear addition. This mid-weight seasonal pyjama set has a crisp textured, satin feel; ideal for colder nights and mornings when a more substantial weight cotton is required. The Milly 6 jacket features a fully piped finish in a white trim, a single patch pocket and mother of pearl buttons. The quality of craftsmanship continues with the trousers and their elasticated waist with self fabric drawstrings for added comfort.